Apple introduced iOS 11 at WWDC earlier this month. 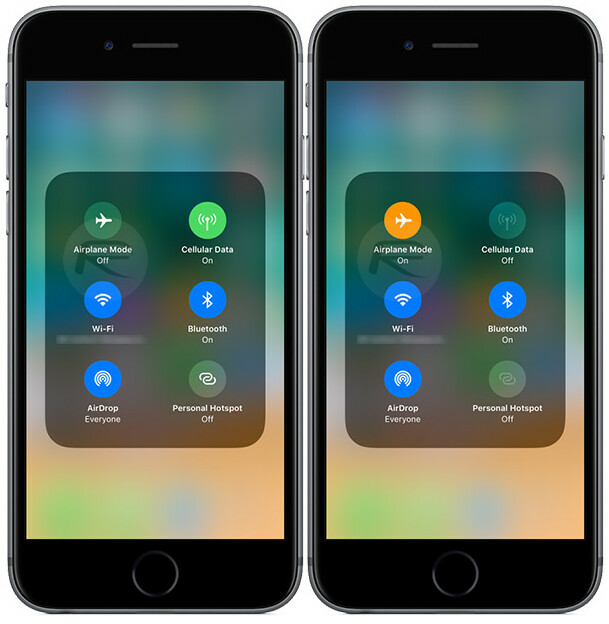 One of the changes coming with the new build of Apple's mobile operating system has to do with Airplane Mode. This is the switch that requires one tap (or toggle) to shut down the radio on your iPhone, thus eliminating all connectivity options so that it can be used on an airplane in flight. That means no Wi-Fi, no cellular signal and no Bluetooth. Now, let's say that you are using Bluetooth to pair your Apple Watch with your iPhone. Using Airplane Mode would traditionally eliminate the Bluetooth connection and your timepiece would no longer receive data from your phone. You would have to manually turn on Bluetooth and Wi-Fi to use either or both without a connection to your carrier. With iOS 11, this is going to change. Users will be able to set Bluetooth and Wi-Fi to remain open in Airplane Mode. That means even with Airplane Mode on, Bluetooth connected accessories like AirPods and Apple Watch will still be connected to the iPhone. The 2017 iPhone models will come with iOS 11 pre-installed when they launch later this year. As someone that flies somewhat frequently I'm looking forward to this handy feature! Haha. What a troll! My S5 can do it. So why not S7. Even my ancient gingerbread phone back in the days could use wifi and Bluetooth while on airplane mode. All Android phones can do it since ages... OMG apple doesn't have it?? and just introducing it now?? Then people says that the iphone is the best. Keep sticking to a feature phone. Don't mind the delusional tard... Android devices have been doing this since forever... And there is no way apple-rulz owbs a Galaxy S7. That apple-rulz account is actually ctdog4748. I busted him yesterday. You busted me yesterday? What the f-ck are you talking about? Don't have sick delusional fantasies about handcuffing me. Also tard, I own several android devices, this enables me to actually know what I'm talking about. Lastly, I'm an original, don't try to pigeonhole me into be another member, just because your other account is darkkjedi. Ok retard, we all know that once your S5 or my S7 is put into airplane mode you can go back and toggle on wifi and Bluetooth. You obviously lack reading comprehension because iOS 11 will eliminate the need to go back and toggle those two settings, they'll be on by default in airplane mode. nice handy feature, I'm using it since Android appeared. Better later than never! To turn off carriers data. U know ppl go on trips and cruises and don't wanna be charged international fees so they have airplane mode to turn off carriers network but connect to WiFi so we can still use data without being charged and u can still email use messengers,etc. So what phone do you have and where do you set up that it leaves WiFi and Bluetooth on when switching on Airplane mode? Cue Darrkmite to come in and talk about his Oh so wonderful S8.